This story is part of a series featuring each of the eight startups in the CYstarters summer cohort. Each team gets the opportunity to focus on their startup or business idea while receiving $6,000 or up to $12,000, along with mentorship, accountability, and educational sessions on how to build a business. The CYstarters program is supported through the ISU Pappajohn Center for Entrepreneurship. Growing up in Isfahan, Iran, Mahmoud was surrounded by inspiration. Having an industrial family and entrepreneur for a father were both huge factors in building his future. Iran presented him with a lot of opportunities that one might not have expected compared to the United States. The educational system was dominated by engineering, mathematics, and sciences, leading many students to pursue careers in those fields. Mahmoud found, not only interest in those subjects, but also a vast amount of success. As early as middle school, Mahmoud and a team of three other students entered in a robotics contest and walked away with 1st place. This was his beginning to his path toward mechanical engineering and the first of many awards he was soon to acquire. In high school, Mahmoud and a few of his close friends were selected for an exclusive application development program hosted by NIIT. During this course, he learned the coding languages for C, C++, and Java. He also joined the robotics team during his high school years which flourished his interests in artificial intelligence and embedded system design. His team went on to receive 5th place in the Robocop Iran-Open International Robotics Competition. Yet out of all the awards he received, one of the most crucial and life-changing was placing 3rd overall in mechanical engineering at the Khwarizmi Research and Innovation Competition, competing alongside 300,000 participants in November 2010. This allowed Mahmoud to bypass the National University Entrance Exam and earn honorary admission (essentially a full-ride scholarship) to any university in the country. With this, he attended K.N. Toosi University of Technology in Tehran, Iran. 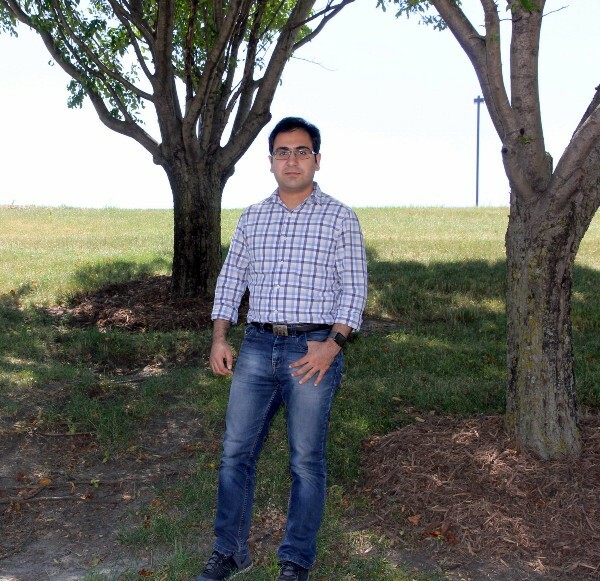 His journey then led him to move to the U.S. and he transferred to Iowa State to further pursue his mechanical engineering degree. Naturally, he was drawn to entrepreneurship and came across the Iowa State Entrepreneurship Club where he was connected with like-minded students. Later he learned about CYstarters and Mahmoud decided to apply with his invention called YAB. He is now one of eight startups selected to be part of the first cohort. Park, turn your key, and YAB will sync your location to the app on your phone. 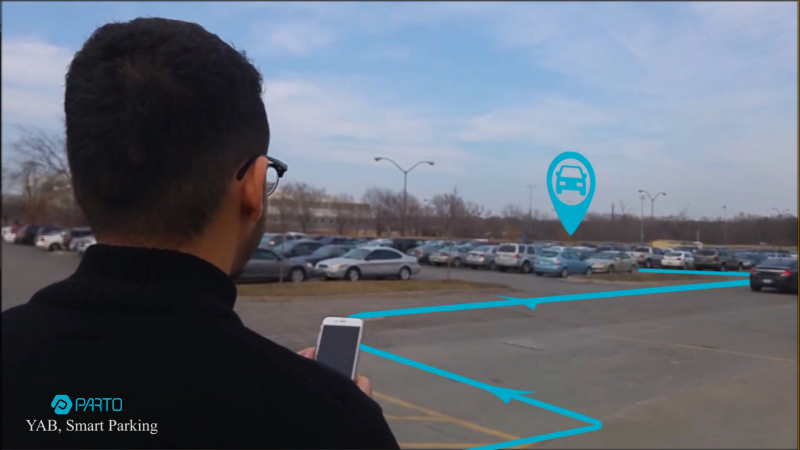 YAB is a smart parking device that helps car owners locate their car in an overcrowded parking lot. A small Bluetooth USB dongle attaches to your car and activates when you turn off your engine. You connect the device to the YAB app that later shows you exactly where you are parked so you can save time and get to where you’re going next without the typical struggle of wandering the parking lot in search of your car. YAB pinpoints and saves your location to help intuitively guide you back to your car, faster and easier. YAB has an additional feature that notifies you when your parking meter is close to running out of time. These smart reminders can save users time and money — no more parking tickets or ending up at the tow company’s lot to bail out your car! Push notifications that save you money. YAB remind you before your parking meet goes off. In a recent interview with Mahmoud, we caught up on the background of YAB, where his entrepreneurial journey is today, and where he is headed. Where did you first get your idea for YAB and what problem does it solve? Back in 2013, I spent over an hour trying to find my car in the commuter lot at Iowa State. Obviously I was unfamiliar with the area, but that is often the case for a lot of people. This is what initially sparked my idea for YAB and I started working and further developing it in 2015. I’m solving the common problem for those out there with a forgetful mind, much like my own at times. What is the future of YAB? I see YAB being sold to car dealers and car manufacturers. Eventually, I will remodel the product for cars that already have USB built in and don’t need the physical plug-in. The world is always changing, so I plan to adapt YAB accordingly. Not only do I have knowledge with mechanical engineering, but through my past experiences I have acquired skills in electronics and programming. This gives me the “ultimate tool kit” when creating products on my own from recognizing opportunities in the marketplace. What is your favorite part about the Unites States? There is a greater connection to the world and more potential to expand. Iran gave me a great foundation, but I plan to stay in the United States. I will soon be starting my Ph.D. in mechanical engineering at Georgia Tech later this summer. In Iowa, the people are so kind and willing to help. It’s a great place and the traffic isn’t so bad either! I always wanted to make things and build my own company. I considered working for an industry and having a set schedule and pay rate. However, I would have limited growth. With entrepreneurship, you may experience a lot of failure along the way but if you are doing what you love and are willing to put a lot of time in, you can achieve great success. There is no ceiling to what you can do or how much you can grow. The non-dilutive capital! I already had the idea for YAB but as a recent college grad, my funding was limited. CYstarters has given me the opportunity to focus on advertising for my product to expand the reach in the market. Through the experience, we have had educational sessions on different topics that I wasn’t aware I needed when starting a business. This has been so critical and important as you don’t know what you don’t know! What has been your favorite moment of it all? By far, creating a Kickstarter has been the highlight of everything I have done. When I first discovered the Kickstarter platform, I thought “this is SO cool” and now I get the opportunity to use it for my own product. With that being said, take the chance to see what all of Mahmoud’s hard work has led to and feel free to join him in his journey to making YAB a reality by backing him on Kickstarter! Pledge + Support YAB on Kickstarter here!